Endesa Net Factory operará como carrier de acceso bajo la licencia de tipo C1, mientras que Auna asumirá la comercialización de los servicios de telecomunicaciones. En una primera fase, ambas han iniciado la comercialización de su servicio de transmisión de datos por la red en Zaragoza. ENDESA (NYSE: ELE) and AUNA's Group have reached an agreement to launch in Zaragoza (November 2003) and Barcelona (January 2004) the first phase of the commercial development of the PLC technology (Power Line Communications), that enables to offer voice telecommunication and broadband services through low and medium voltage electricity network. Implementation of the next-generation Internet protocol (IPv6) that will bring the United States Department of Defense closer to its goal of net-centric warfare and operations was announced today by John P. Stenbit, assistant secretary of defense for networks and information integration and DoD chief information officer on a briefing. Several companies are testing new ways to offer high-speed access. For years, high-speed Internet service was only a dream for Lee Stanton. His house in a nook of Potomac, Md., is too far from his phone company's switching center for DSL. The United States' comms regulator, the FCC, has given its blessing to powerline broadband. The head of the Federal Communications Commission gave his blessing on Wednesday to an emerging technology that would provide high-speed Internet service through power lines. From those outlets pour streams of digital video, interactive games, online radio stations and services familiar to people who use cable or telephone modems to get high-speed Internet connections. This technology that delivers broadband through ordinary electric wiring should be commercially available to some consumers this year. Proponents of a technology that sends Internet signals through electrical lines are trying to overcome years of skepticism to impress the Federal Communications Commission, which is soliciting comments this month on rules governing devices that operate on unlicensed frequencies. Endesa ha firmado un contrato con la empresa pública mexicana Comisión Federal de Electricidad (CFE) para la implantación de un proyecto piloto PLC (Power Line Communications), que proporcionará los servicios de transmisión de datos sobre la red de media y baja tensión en las oficinas de la CFE en Monterrey, informó hoy la empresa. The Amperion Connect system is a suite of hardware and software products that enable broadband access, backhaul and internal utility services. 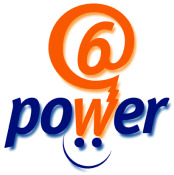 PowerWiFi extends the solution to the last mile, using 802.11b to link end-users to the powerline network. On January 15, 2003 the Schneider Electric sister company in Italy signed an agreement with Alpikom Spa* is an integrated communications company. Commissioner for Enterprise and Information Society Erkki Liikanen has called on politicians to make renewed efforts to promote broadband development in Europe. Ericsson (Nasdaq:ERICY) announced that an ambulance demonstration today showed vital medical data, voice and video using IPv6 and seamlessly roaming over 2G and 3G systems as well as wireless LANs. The same power lines that bring electricity to televisions and toasters may become the next pathway into homes for high-speed Internet access, federal officials said Wednesday. They said the technology offers an alternative to cable and telephone lines as a way to get broadband service, with its ability to quickly deliver large amounts of data and high-quality video signals. "Every power plug in your home becomes a broadband connection," said Edmond Thomas, chief of the Federal Communications Commission's Office of Engineering and Technology. He said companies developing the technology have overcome many hurdles in the past year. Today Microsoft Corp. announced the immediate availability of Windows Media® 9 Series, the next-generation digital media platform that offers benefits for hardware and software vendors, the media and entertainment industry, consumers in the home, and organizations looking to communicate and train more effectively. According to Qualys Chairman and CEO Philippe Courtot, who also serves on the ISOC Board of Trustees, "The decision to fund ISOC's education and training programs complements our goal to secure the Internet, from the protocol level to the application. It has become so apparent in recent years that advanced security, such as new generation Internet Protocol version 6 (IPv6), Internet Security (IPsec) and more, will be critical to the growth and development of the Internet. We are pleased to participate in this effort with ISOC to help continue its current education programs." IPv6 Forum President Latif Ladid, who is also an ISOC Trustee and Chairman of ISOC's Fundraising Task Force, explained that this grant will allow ISOC to meet key outreach objectives. "The Internet Society is aggressively developing new education programs to specifically address IPv6 and IPsec for worldwide dissemination of vendor independent knowledge. Qualys has championed this large-scale initiative." At the Elec Fair (Villepinte-Paris) Eric Pilaud, Executive Vice-President Strategy and Market Developement at Schneider Electric has reaffirmed the will of the Group to expand significantly in the market for high-speed internet access infrastructures based on powerline carrier technology. NTT MSC is pleased to announce that it is ready to offer next-generation Internet IPv6 commercial services under the Arcnet6 product name in Malaysia today. In conjunction with its parent company, NTT Communications, the leading Global IP Company, NTT MSC will offer a broad array of IPv6 solutions which includes Native IPv6 Interconnectivity, IPv6 over IPv4 Tunneling, IPv6 Web-hosting, and IPv6 Co-location Services. This strategic and extensive IPv6 service launch of Arcnet6 will mark the revolutionary move of the advanced protocol in Malaysia and drive the diffusion of IPv6 within local IT community. Internet Initiative Japan Inc. ("IIJ") today announced that the Company will extend the trial period for its IPv6 (Internet Protocol Version 6, the next generation Internet protocol) Tunneling and Native Connectivity Services to the end of March 2003 to address the changing trends in IPv6 usage in Japan. The trial period was originally set at the end of March 2002. At the same time, the service area for the IPv6 Native Service and the IPv6/IPv4 Dual Stack Service will be expanded from Tokyo to five areas around Japan, bringing IPv6 to a wider audience. A bit of a tiff has broken out in Europe over whether there’s any urgency to upgrade telecom infrastructure so that it supports Internet Protocol (IP) version 6, an improved version of IPv4, the current protocol used across the vast majority of the Internet. The European Commission has called on member states to do more to propagate uptake of IPv6 in the EU. The need for widespread adoption of the latest version of the internet protocol is essential before 2005 when existing IPv4 addressing is expected to run out of space, the EC said in its latest Communication: "IPv6 Priorities for Action". The European Commission is pushing governments and private industry to accelerate support for Internet Protocol version 6 (IPv6), a communications technology that has the potential to increase the number of available Internet addresses exponentially. Some industry observers say carriers that drag their feet on implementing IPv6 will find themselves in hot water when they run out of IP addresses for their next-generation devices. If your answer was the Internet protocol, you're on the right track but only partly correct. The complete answer is the current version of IP, which is IP version 4.